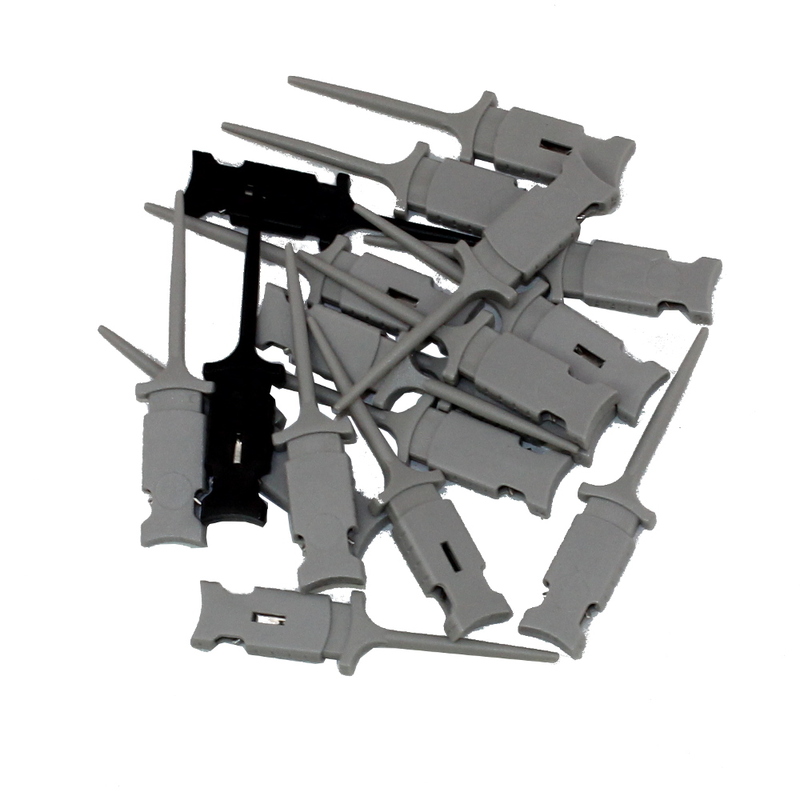 Shipped and supported from the U.S.A. 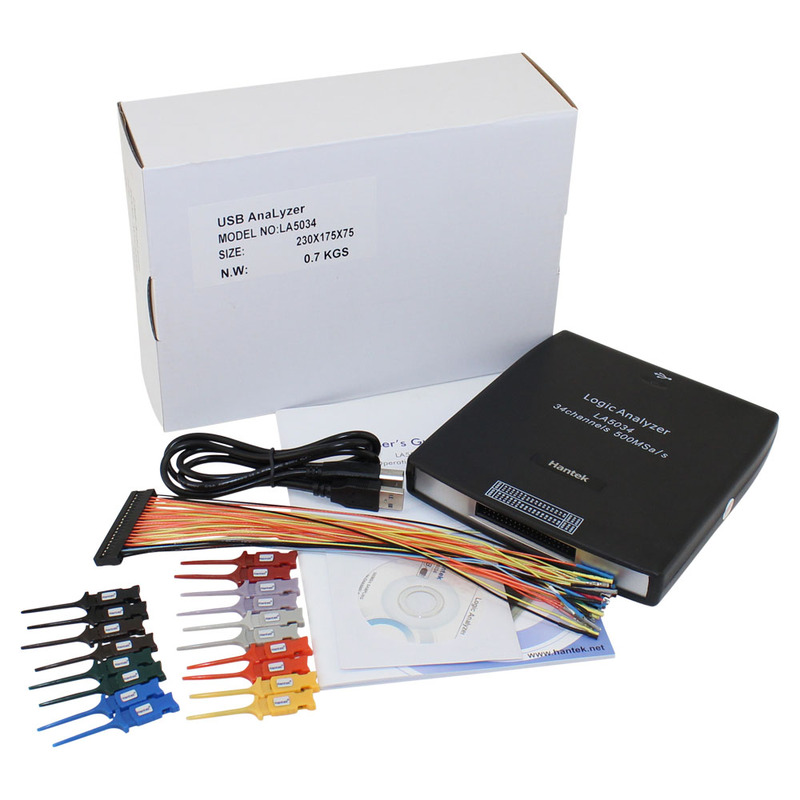 This USB logic analyzer provides 34 channels of data input and a 500Mhz sample rate at a terrific low price. 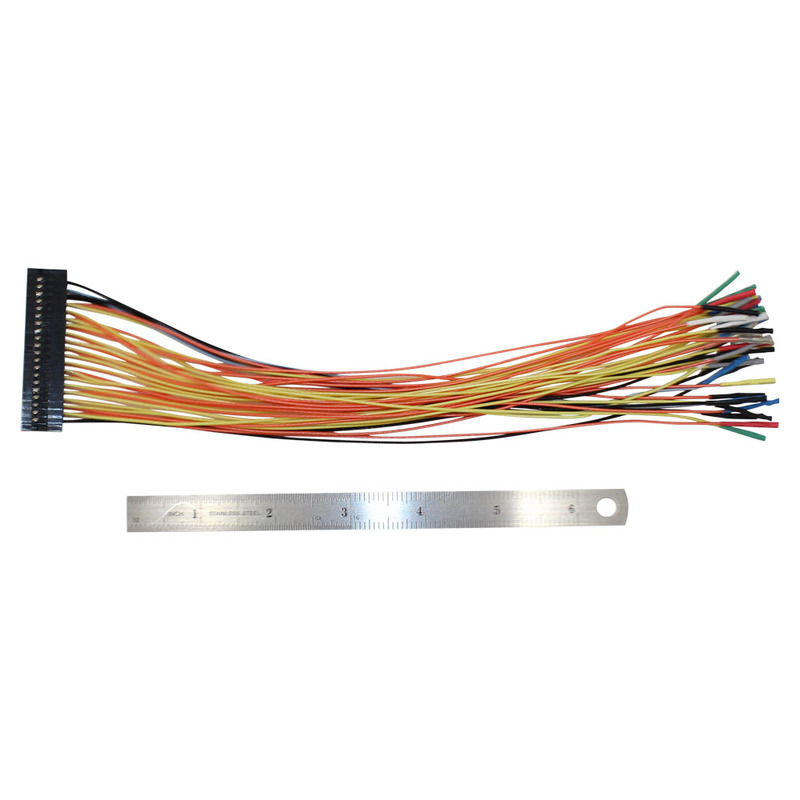 The Hantek LA5034 is an excellent test tool for analysis, troubleshooting and testing digital circuits. 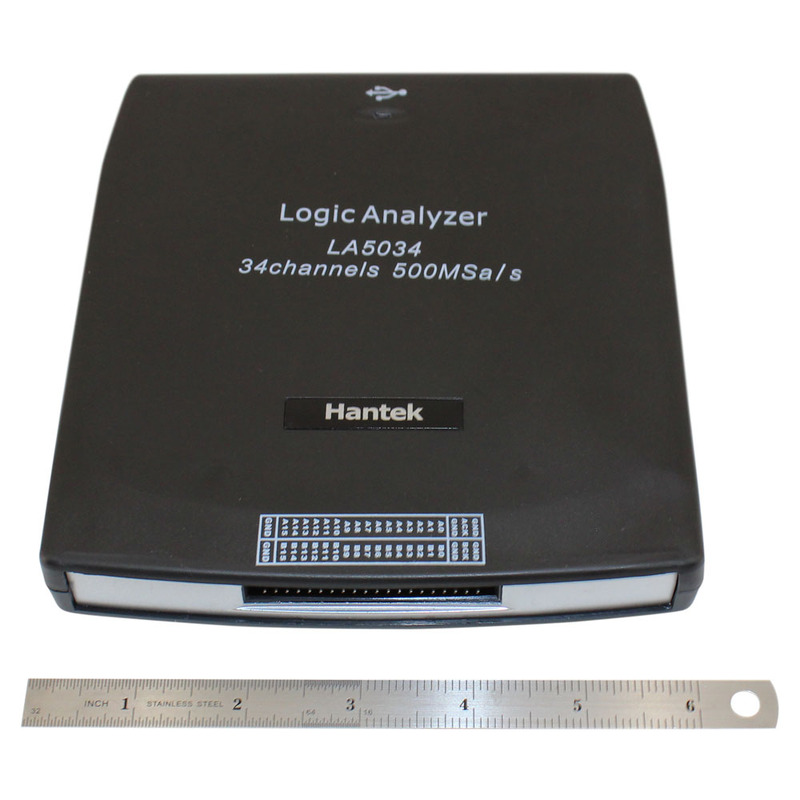 The Hantek LA5034 usb logic analyzer is designed with features found on expensive desktop logic analyzers at a fraction of the cost. 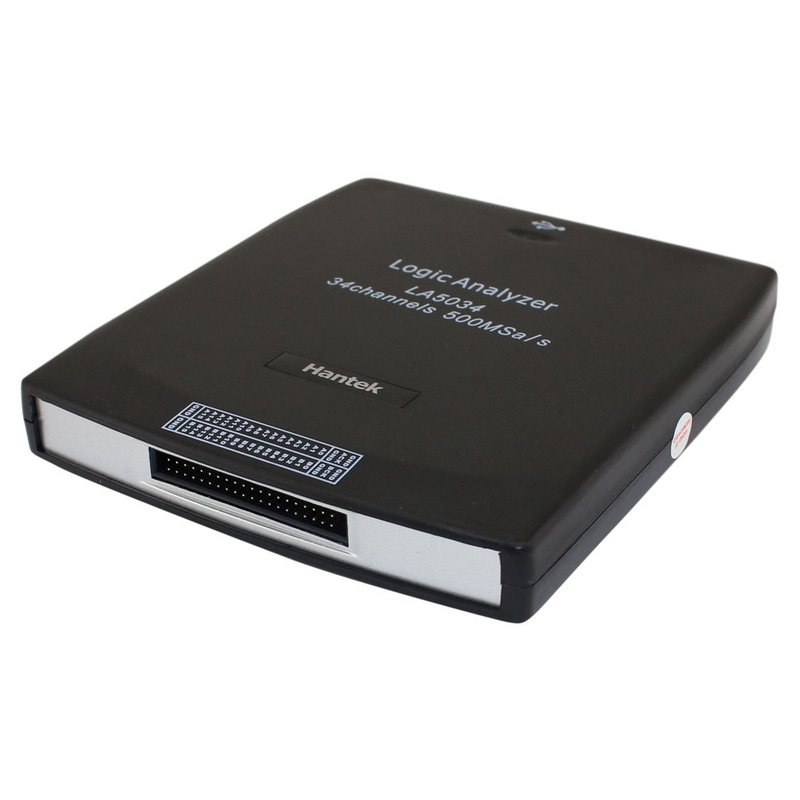 This logic analyzer is small and portable and implements many advanced technology features to provide very high performance at very low cost making the 5034 an excellent pc based usb logic analyzer. 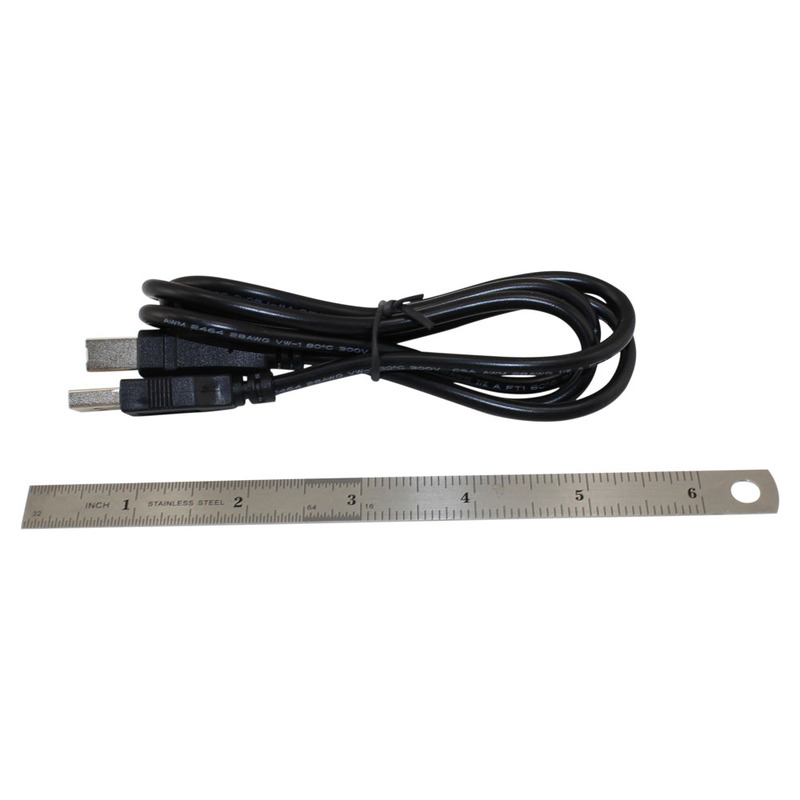 This unit is a great choice for engineers, hobbyists, technicians and educational institutions. 34 data input channels. 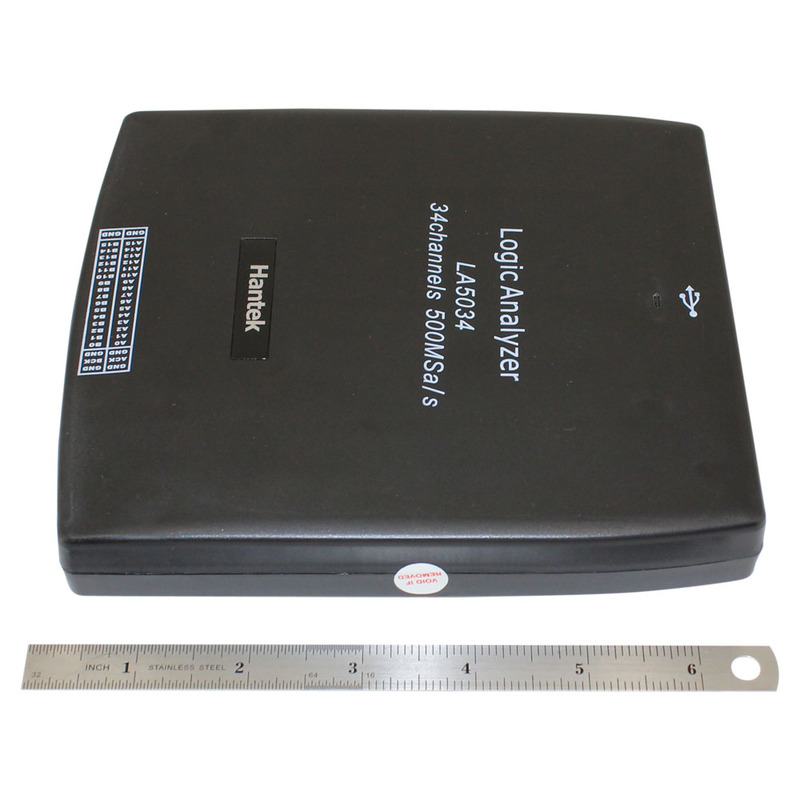 This 34 channel usb logic analyzer can monitor data and control information simultaneously. 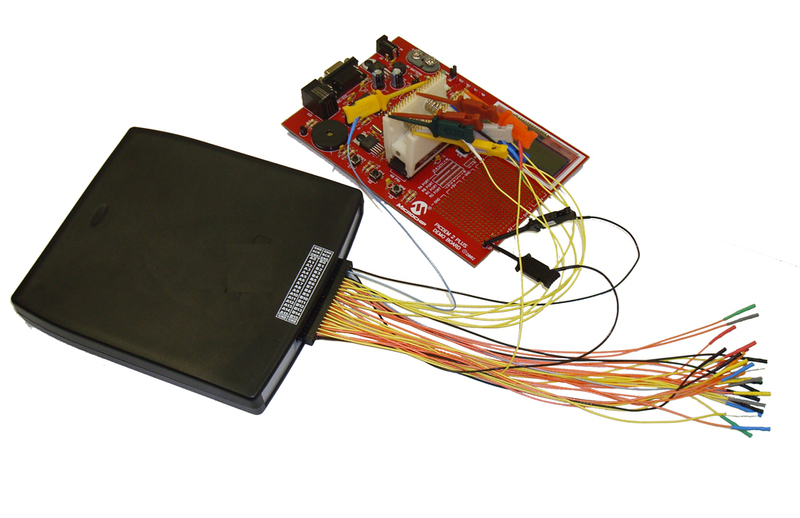 This unit can capture glitches and narrow pulses which are sometimes missed by other types of test equipment. There is a delay function. Now the user can capture data around a waveform before and after the trigger signal. 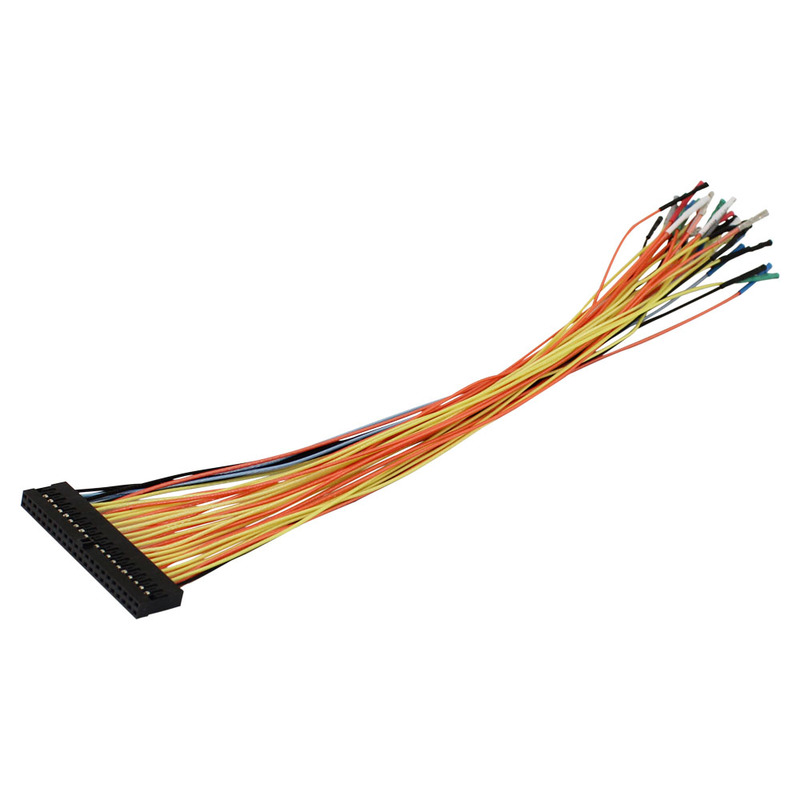 Now the user can view and analyze the data at multiple points in the data stream. There is a memory feature. Now the user can store many data points and then analyze them for errors from the unit being tested or to help find defective components. The screen shots are intuitive and very flexible. This helps the user to analyze the system being tested. The data can be displayed in diffeent ways: desicmal, hexadecimal and binary. 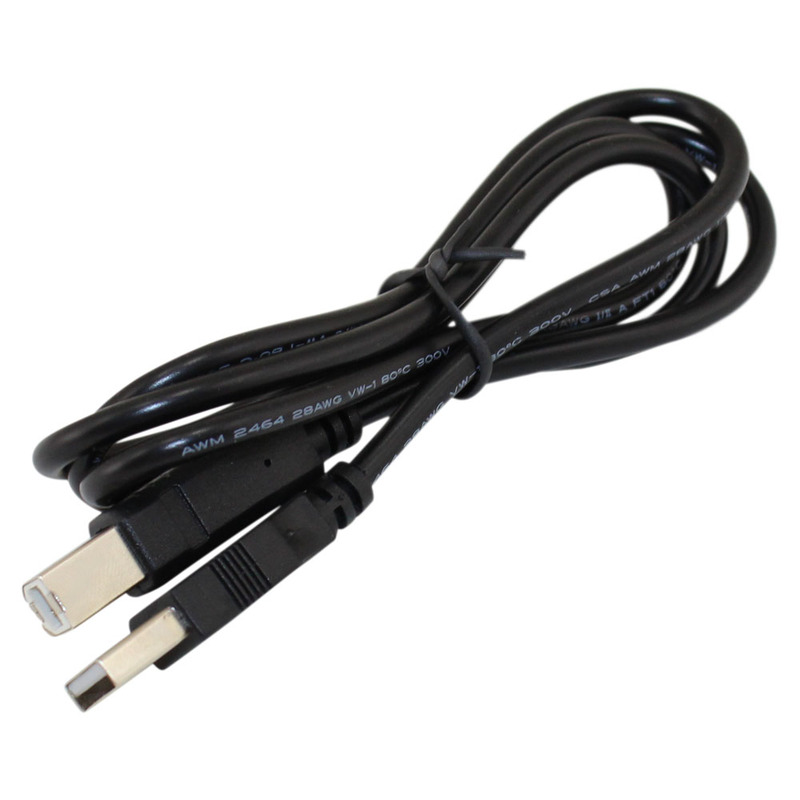 This usb logic analyzer may be triggered in different ways: rising edge, falling edge, or both. There is an advanced trigger function feature. Now logic operations may be performed on the data before the trigger is generated. The user now can trigger on a single data byte or word from any of the channels being monitored.